Curious about what it is like to live on the water in one of the most unique communities in the Bay Area? Nineteen of Sausalito’s colorful floating homes will open their doors to you on Saturday, September 25th from 11am to 4pm. The annual tour is self-guided, though docents will be on-board to describe the waterfront lifestyle and answer questions. Many of the homes on this year's tour have never been open to the public before. One of the featured homes, “The Red Star,” is exquisitely detailed by the owner--a versatile artist and master builder. 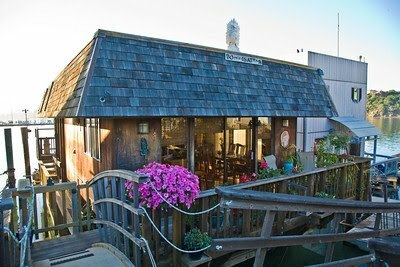 The tour begins at the Kappas Marina Green, located off Bridgeway at the north end of Sausalito. Festivities include free entertainment all day featuring local musicians and an Art Show and Sale featuring the paintings, sculpture, photographs, and drawings of 11 artists from floating home community. Food and drink will be available for purchase. Traditionally this tour sells out. Purchase tickets online at www.floatinghomes.org; $35 in advance/$40 at gate. Ticket sales benefit the Floating Home Association, The Marin City Library, and other local non-profit organizations.